The emergency has just happened. You are remaining calm and you are gathering information about the incident. Now you need to think about how to best apply the information you have for the situation you are facing. One of the scarcest commodities in during an emergency is time. You probably don’t have much when you are gathering information and determining how you are going to use it. Use it wisely. Even though the time for emergency planning is over, you do need to QUICKLY think about how you are going to apply your plans to this situation. How much time do you have before you have to evacuate? This may determine what you can take with you and what additional security precautions you can take. How much time do you have before the hurricane or tornado arrives? This may determine where you can shelter or evacuate to. What instructions have you received from the authorities? Did they tell you to shelter in place? Depending on the emergency, are you just staying where you are or do you need to find a safe room to shelter in? How are you best going to do that? Did the authorities tell you to evacuate? Did they tell you what routes to take or to avoid? Can you take the car or the RV, or are you on foot or bike? What can you take with you? What has to be left behind? How are you best going to do that? Think about the location of your previously stored emergency supplies. Can you get to your 72 hour kits or your first aid kit? Is your food and water storage easily accessible? What about your camping supplies or your sanitation supplies? Is the fire escape ladder where you need it? Can you use your flashlight or is there a gas leak and you need to use your glow stick? Where are they? What resources are available that you can use to ensure your safety, your family’s safety and the safety of your neighborhood? Are there resources for sandbags? Are there chain saws and pry bars for clearing debris? Can you use a sheet, table cloth or curtain to make a bandage? What do you have to make a splint? Is there a door you can use for a backboard? What is there around you that you can fashion into a makeshift shelter for you and your family? Remember that people are resources as well. Does anyone have medical training? Is anyone a HAM radio operator? Are there any people trained in CERT (Community Emergency Response Team)? People can accomplish more working together rather separately. You need to decide how you and your family are going to react and respond to the situation you are facing. If you have preplanned and practiced your emergency plan, this should be very quick and easy. Are you going to evacuate out the door or a window? Are you going to do CPR or the “chin tilt”? Are you going to evacuate west to the public shelter or north to your sister’s city? Are you going to shut off the gas and the water? Whatever emergency you are facing and whatever your emergency plan, your plan needs to be flexible as you get more information and as your situation changes. You don’t have much time, but you need to take a quick moment to decide how to best implement your emergency plans. Remember to consider how much time you have, what instructions you have received, what supplies you have and what resources are available. After you have made your plan, ACT on it. Once an emergency happens, other than staying calm, the first thing we need to do is gather information. Quickly gather as much information as possible about the situation. WHAT IS THE EMERGENCY? Nothing is scarier than facing an unknown threat. The more you know what you are facing, the better you will be able to respond to the situation. The noise that woke you up, is it an earthquake? An intruder? A house fire? WHAT SIZE IS THE EMERGENCY? Is it just affecting you? Your family? Your neighborhood? City? State? Nation? WHAT AREAS ARE AFFECTED? Is it in our room or the basement? Our house or the neighbors? Our neighborhood or three blocks north? Which city? Which state? Nation? HOW SEVERE IS THE EMERGENCY? Is it a category 1 tornado or a 5? Is it a 2.5 scaled earthquake or an 8.5? Is it a first degree burn or a third? Heart burn or a heart attack? HOW MUCH TIME DO I HAVE TO RESPOND? 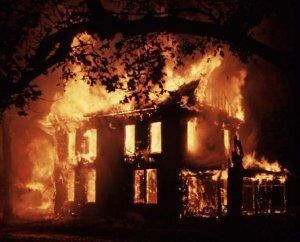 Do I have seconds to escape my burning house? Is there minutes before the tornado arrives? Do I have hours before the wildfire reaches my house? Days before the hurricane arrives? WHAT IS THE ESTIMATED DURATION OF THE EMERGENCY? Minutes? Hours? Days? Weeks? Longer? WHAT DO COMMUNITY LEADERS AND EMERGENCY RESPONDERS WANT US TO DO? Do they need volunteers? Do we evacuate or shelter in place? If we evacuate, which route do we take? Is it safe to drink the incoming water? WHAT IS THE STATUS OF MY FAMILY MEMBERS? Are the kids at school? How are they? Are they sheltering at the school or are they coming home? Can Mom and Dad make it home from work? Are they ok? Is Fido still in the backyard? WHAT IS THE STATUS OF MY NEIGHBORS? Does the old couple across the street need help? How about the single mother of 4 two houses down? What’s the first source of emergency information you think of? Probably the Emergency Alert System (EAS). The EAS was created from the old national Emergency Broadcast System (EBS) that was developed during the cold war to alert in case of a nuclear attack. The EAS is now used and controlled in your local area to alert in time of emergencies, natural and manmade. It is also used for Amber Alerts. All television and radio stations are required by the FCC to broadcast EAS alerts in the event of an emergency. Be aware that oftentimes news organizations are more concerned with being first with information than being accurate with information. If possible, use more than one or two sources to get a more complete picture of what is happening. Have a battery operated radio you can use if the power goes out. Also listen to the Nation Ocean and Atmospheric Administration (NOAA) weather channels. An emergency alert radio that automatically turns on in the event of an emergency is a good safe guard for your family. If there is time, local authorities and police may drive down the streets broadcasting the emergency information through loud speakers or going door to door. Some communities even have what is called “Reverse 911”. Instead of YOU calling emergency dispatch, an automated message is sent from dispatch to all the land phones in the affected area. Mobile phones and unlisted phones are not called unless users signup to be part of the service. On a personal level, we have five senses to help us gather information as well. Look around and SEE what is going on. LISTEN not only to the radio and television, but to family members and neighbors. Listen for sounds that may signal impending dangers. SMELL can sometimes tell us about hazards, like natural gas leaks, that may be difficult to see or hear. Our sense of TOUCH can tell us if a door is warm, signifying fire on the other side; or if a piece of debris on the ground may not be stable to stand on. TASTE can tell us if water or food is not safe to consume. There are many ways to gather information in an emergency. Use as many as you are able to, as quickly as possible so you know what you are facing and how to respond. The old saying that “Practice makes perfect” applies to emergency preparedness as well. We practice our emergency plans for a number of reasons, first of which is so that when we need to use them we know HOW to use them. We practice so there is less time spent THINKING what we need to do and more time spent DOING what we need to do. In an emergency situation, seconds can be the difference between life and death. Once we know what possible emergencies we could face, it is a good idea to sit down and have a “table top” practice where you verbally go through a scenario with your family. Talk through the steps you each take in the fictitious emergency. Discuss what could go wrong and what additional problems you may face, then what additional plans, actions or supplies could overcome the problems. Write them down and be sure everyone understands them. How do we change our emergency plans if something happens during the day when few family members are home? What if phone lines don’t work? What if the 5 year old sleeps through the fire alarm? How do we evacuate with all of our children, or pets, or supplies if the roads are impassible? It is also a good idea to physically walk through your different plans. How often do we hear tragic stories of children or adults who didn’t know what to do in the event of a fire? Have a “fire drill night” with your family. Have everyone go into different rooms and then set off the smoke alarm so everyone knows what it sounds like. Make sure there are at least two exits from each room and go out both. Have all family members meet ACROSS THE STREET in an exact location. Do it once or twice, then time it. After everyone has it down, choose a day to do it unannounced. Even do it a few times in the middle of the night. Practice your family emergency communication plans. Start the family calling tree and time how long it takes for it to come back. Also, have a day that everyone is supposed to call the family out of state emergency contact at a certain time. Practice your family evacuation routes. 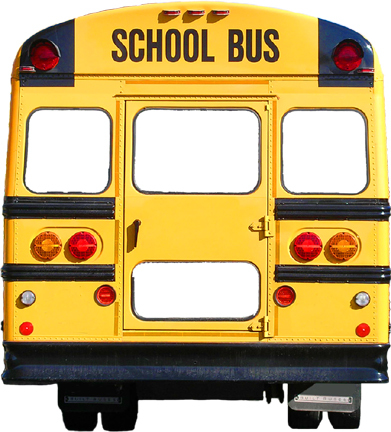 Find different routes to and from work, school, church and your evacuation areas. Choose a day to hike with your family and your 72 hour kits to your out of neighborhood evacuation area. Practice using your emergency tools and supplies. Does everyone know how to use all the items in their 72 hour kits, car kits, work and school kits? Do you know how to siphon from your water storage or how to use the water filter? How about simple car repairs like changing a tire? Practice living without the utilities. Have everyone practice shutting off the electricity and water – don’t shut off the gas during practice. Choose a weekend where live without running water and electricity. Also turn down the thermostat. How will you stay warm? How will you see at night? How will you prepare food? Do you have enough water stored? What in your plans work and what doesn’t? What changes will you make? 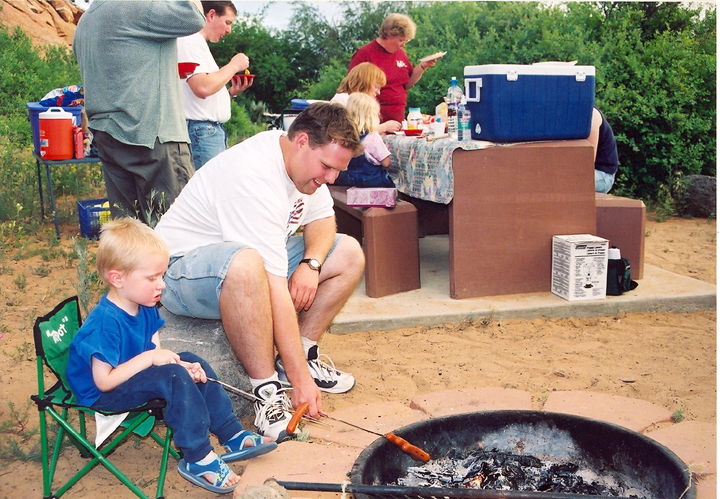 One of the best ways to practice emergency preparedness principles with your family is to go camping. You use many of the basics of survival in a fun and recreational atmosphere where if something DOES go wrong, you are not in a life threatening situation. Use each camping experience to try out a new technique or aspect of emergency preparedness. As we practice our preparedness plans, we will not only perfect them and make them better, but we will be able to prove to ourselves and our family members that we CAN be prepared and we CAN have that peace of mind that comes from the knowledge that our plans DO work. Before an emergency strikes, the first thing on your list is to LEARN and PLAN; this is your mental preparation. Before you run out and buy the kits and the gear, you need to do some research. Emergency preparedness is 90% mental and only 10% stuff. You can have all the cool gadgets and gear, but if you don’t know the basics of survival and how to APPLY your supplies to the given situation, you will have a difficult time making it through the incident. Find out what emergencies are most likely in your area. Do you live near a fault line? Is your area prone to tornados? Are you in a hilly or mountainous area prone to landslides or avalanches? What is the weather like? 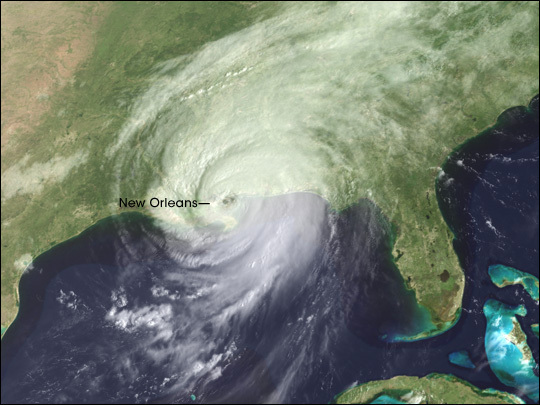 Are you near a coast and need to worry about hurricanes or tsunamis? What about flooding? 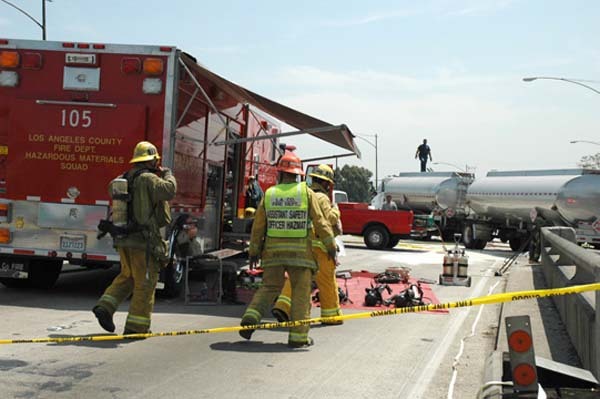 Do you live near highways or railroads where hazardous chemicals are transported? Do you live near an area where hazardous substances are stored or manufactured? Contact your local city or county emergency manager to learn what potential hazards are in your area. Once you know what emergencies are likely, learn how the 10 areas of survival needs apply. 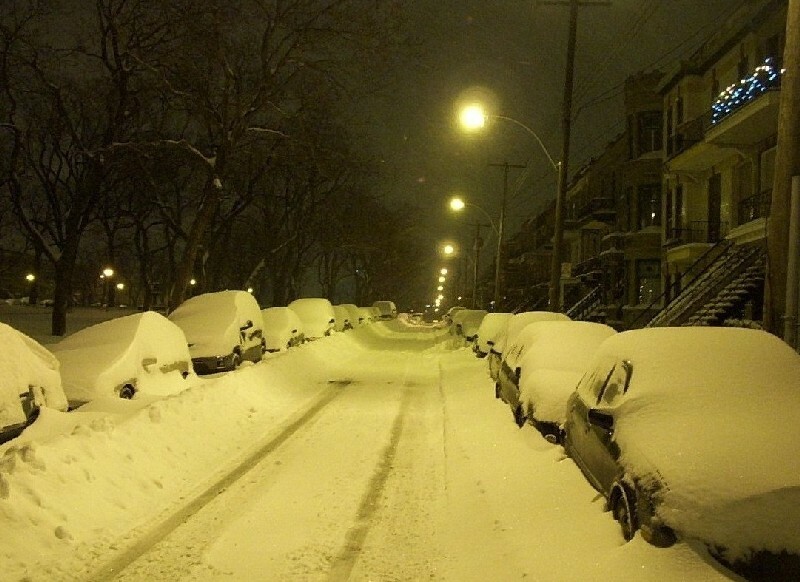 You will shelter differently if you are at home in the summer than you would if you are stranded in your car or evacuating with your 72 hour kit in the winter. You may not need to worry about cooking food in the aftermath of an auto accident, but you would if an earthquake or hurricane stranded your family for a few weeks. Learn what emergency supplies are necessary and what isn’t. Apply your family emergency preparedness budget to items that you will REALLY need, not just stuff that looks cool. Learn how to use your emergency supplies, otherwise they are just taking up valuable space and resources. Learn how to gather information in an emergency. There is the E.A.S. – Emergency Alert System on radio and television. Learn what channels are the primary emergency information sources for your area. N.O.A.A. weather channels give a constant update or the weather and emergencies in your area. Some cities and counties have a REVERSE 911 system that actually sends out an automated call with the emergency information to all the phone numbers in the phonebook. Mobile numbers have to register to receive this service. Sometime if there is time, emergency responders may go door to door, street to street informing residents about a coming emergency. Be proactive and take training classes in emergency preparedness. The Red Cross not only teaches different levels of first aid, but disaster prevention, preparedness and response. C.E.R.T. (Community Emergency Response Team) classes and certification are offered in many cities. CERT trains individuals how to organize and how to be safe, effective volunteers in an emergency, doing the greatest good for the greatest number of people in the least amount of time. For more information on emergency preparedness check out www.ready.gov. Order the free book Are You Ready? from FEMA Distribution, 1-800-480-2520. 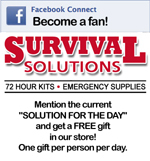 Learn about emergency supplies at http://www.survivalsolutions.com/store/index.html and receive an emergency preparedness solution for the day when you become a fan of Survival Solutions on Facebook. 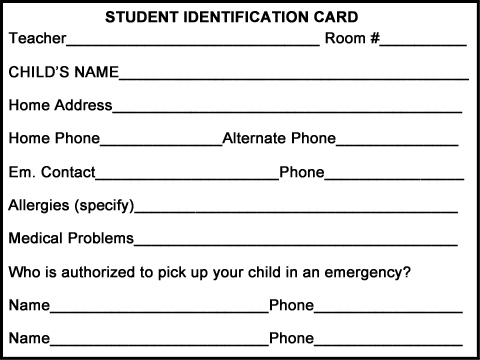 Develop family emergency communication plans. Have a FAMILY PHONE TREE that quickly gets information out to family members. Also have an emergency OUT OF STATE CONTACT. 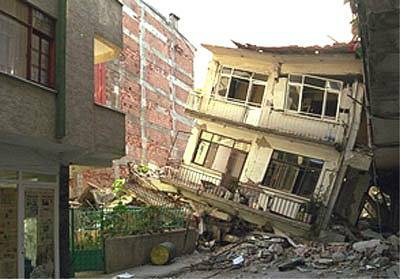 After a disaster it is often easier to call long distance rather than locally. Make sure everyone knows who the contact is and when they need to be called. During an incident, family members “check in” so your contact has everyone’s status and location. Get permission from your contact beforehand and let them know what their role is. Plan and develop your family EMERGENCY EVACUATION PLANS. Have both near home (walking distance) AND out of area emergency meeting places. Learn plans for evacuation from work and school. Are there evacuation shelters in your area? Where are they? What if you can’t or shouldn’t evacuate? Do you have family SHELTER IN PLACE PLANS? Consider making emergency safe rooms where you and your family can shelter from toxic gas clouds using plastic sheeting & duct tape. Also learn about what your family can make it through the isolation of a reverse quarantine during a pandemic.